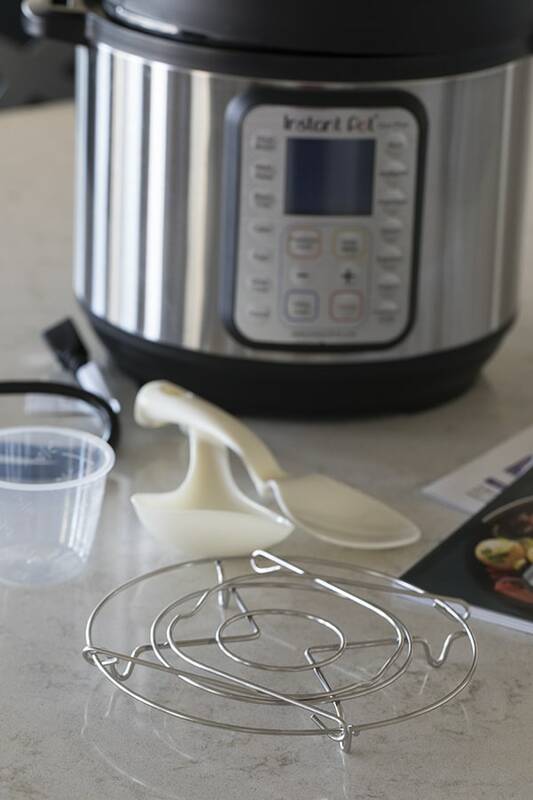 The Instant Pot Duo Plus 60 is a 9 in 1 Multi-Use Programmable Pressure Cooker with Advanced Microprocessor Technology and a Stainless Steel Cooking Pot. It is a Pressure Cooker, Slow Cooker, Rice/Porridge Cooker, Cake Maker (New), Yogurt Maker, Sautér/Searer, Steamer, Warmer, and Sterilizer (New). A Pressure Cook button instead of a Manual button. The most important function of the Instant Pot has always been pressure cooking, but people have said to me, I don’t have a pressure cooker, I have an Instant Pot. 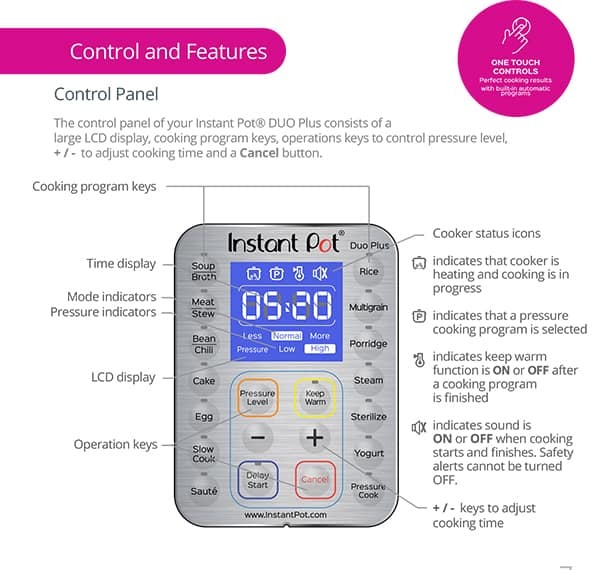 The new Duo Plus clears up any confusion there may have been about whether or not the Instant Pot is a pressure cooker. With the addition of a pressure cook button instead of the manual button, it’s clear that the Instant Pot is an electric pressure cooker. I can’t tell you how much I love this change!They’ve also changed the Timer button to a Delay Start button, which should end the confusion about that button as well. A Great New User Manual. 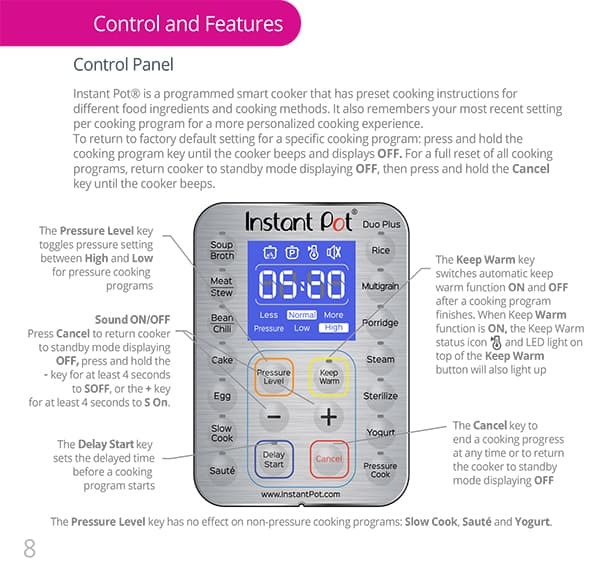 The manual on previous Instant Pot models was often criticized for not being clear and easy to understand. The new manual is a huge improvement. It’s well designed and easy to understand and use. 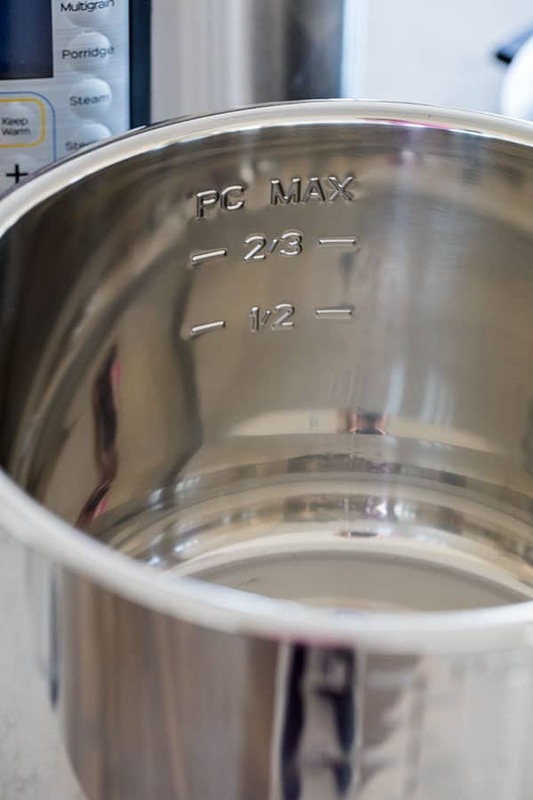 You can find the manual online and much of it applies to all Instant Pots. A New Trivet with curves in the handles. The curves make it easier to grab the trivet / rack handles and remove it from the pot. Updated Display. The Plus has a new blue LCD display that lets you adjust the cooking settings and pressure levels at any time during the cooking process. There are 4 new icons to enable you to easily see the status of the cooker, Heat, Pressure Cook, Keep Warm and Sound. The ‘Heat’ indicates heating or cooking in progress, ‘Pressure Cook’ indicates the pressure cook program is selected, ‘Keep Warm’ indicates if it is ON/OFF, and ‘Sound’ indicates if the sound is ON/OFF. Easier to Read Markings on the inner pot so it’s easier to tell how full your pot is, so you don’t over fill it. There’s also an Instant Pot label on the pot. If you have more than one pressure cooker, it’s nice that it’s labeled so now you can easily tell which one to use in your Instant Pot. Cake – The new Cake program is programed for frequently used times for cakes, like cheesecake! Egg – The new Egg program is programed with frequently used times for perfect hard boiled eggs. Sterilize – The new Sterilize program can be used to pasteurize dairy products, sterilize baby bottles, jars, and utensils. Pressure Cook – replaces the Manual button. 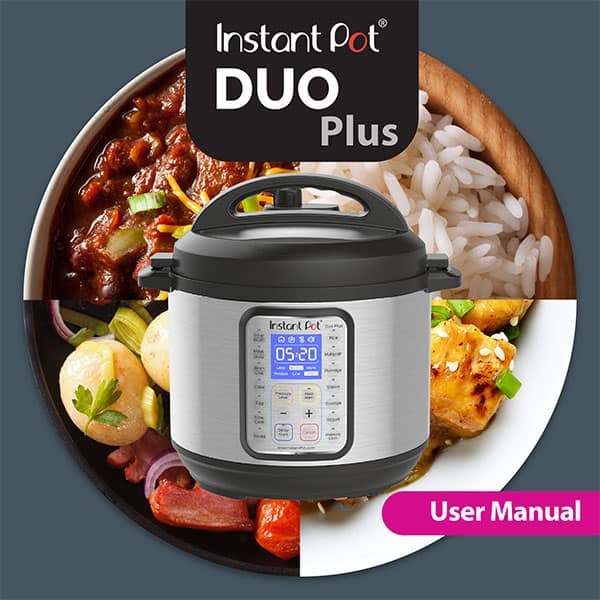 I’ve been using the Instant Pot Duo Plus 60 for two weeks now and have yet to find anything I don’t like about it. The Instant Pot company has truly listened to their customers and made changes that I think everyone will like. 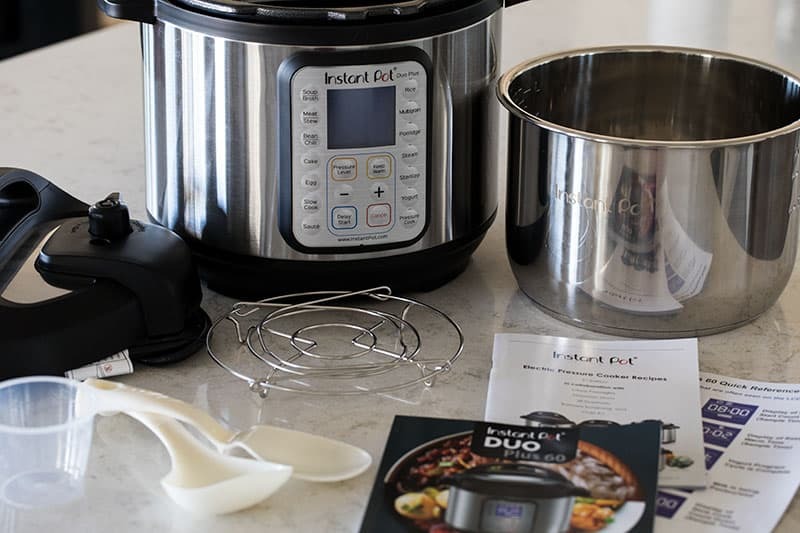 The Instant Pot Duo Plus 60 would make a perfect gift for yourself or someone you love this Mother’s Day. Disclosure: I was sent an Instant Pot Duo Plus 60 to review, but all opinions expressed are always my own. 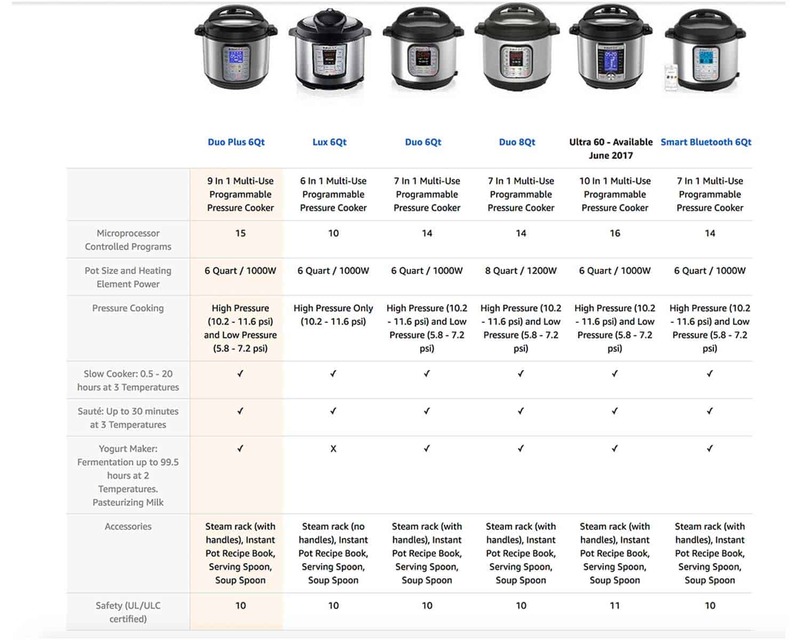 Here’s a chart that shows the available Instant Pot models. 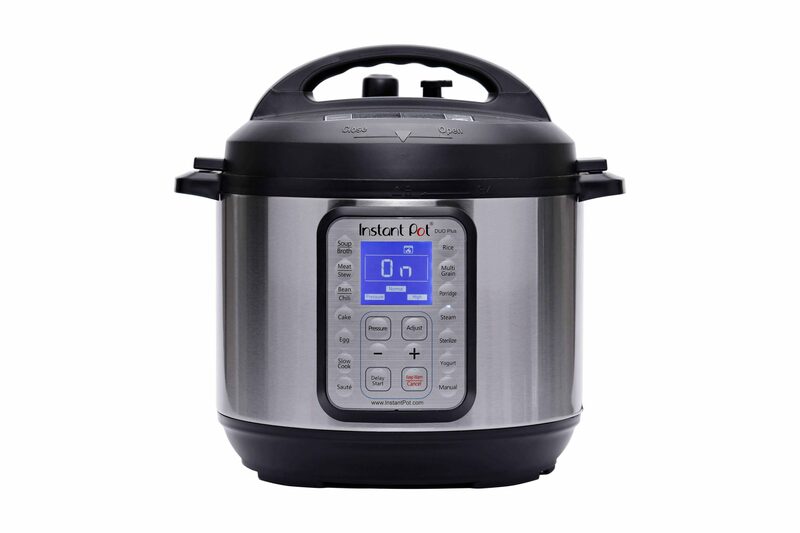 Can the Instant Pot be used for canning foods in glass jars as in regular pressure cookers?